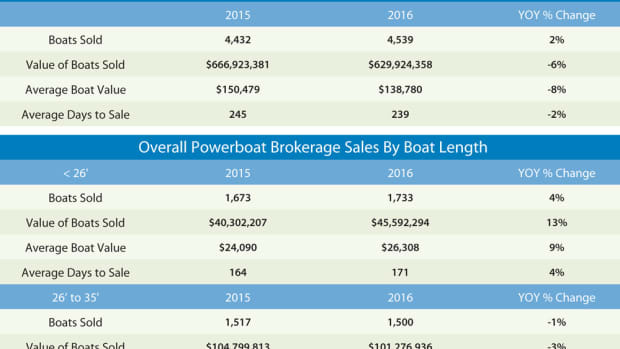 In July the number of boats sold through U.S. brokerage firms fell 12 percent, a deeper recurrence of a scenario that has played out several times in 2017 when comparing monthly sales figures against the previous year. 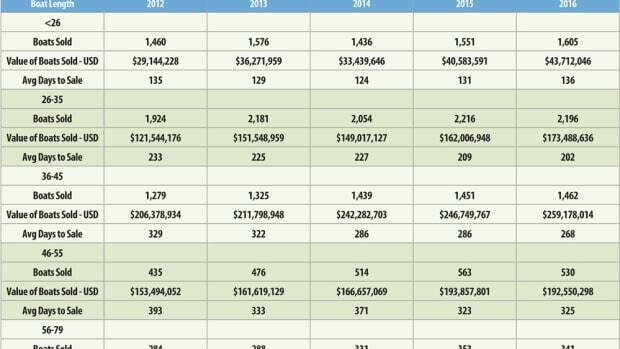 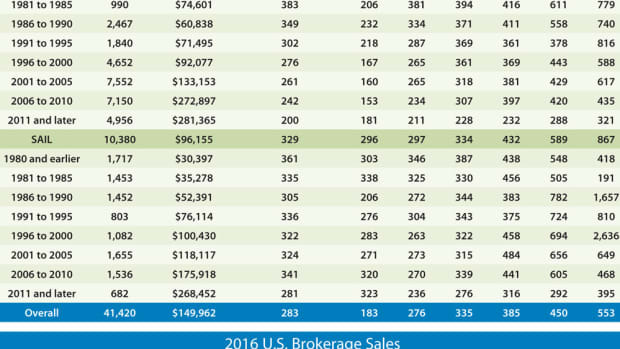 July brokerage transactions in the United States were fewer in number, but much pricier than a year earlier. 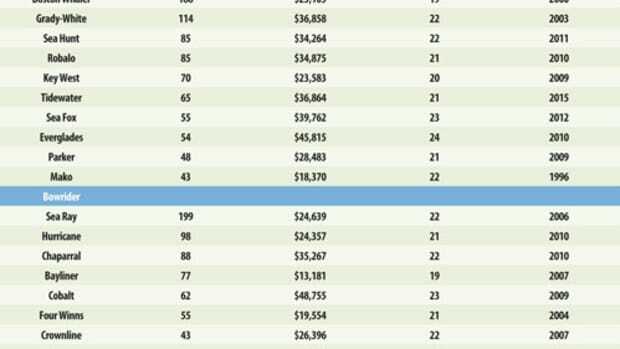 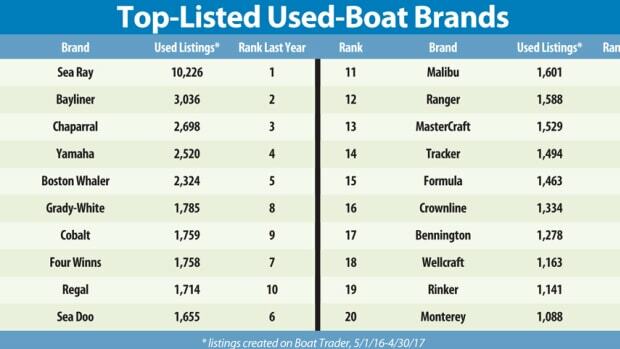 Our annual rundown of the most commonly listed brands of boats on BoatTrader shows perennial market leader Sea Ray with the most listings again this year by more than a 3-to-1 margin over Bayliner. 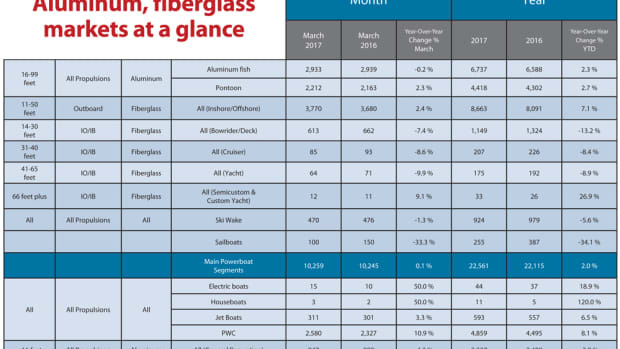 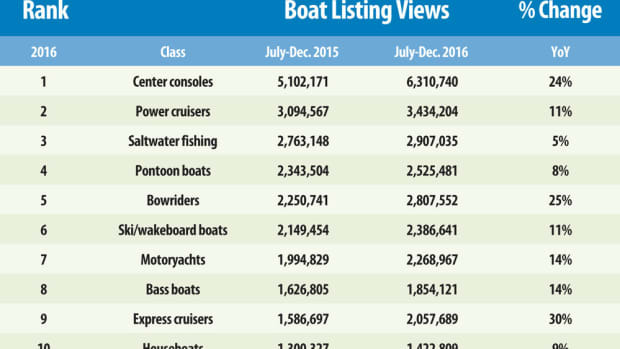 Last year the recreational boating industry was celebrating its best March results since 2008 — sales gains of 21 percent in the main powerboat segments and 20 percent industrywide. 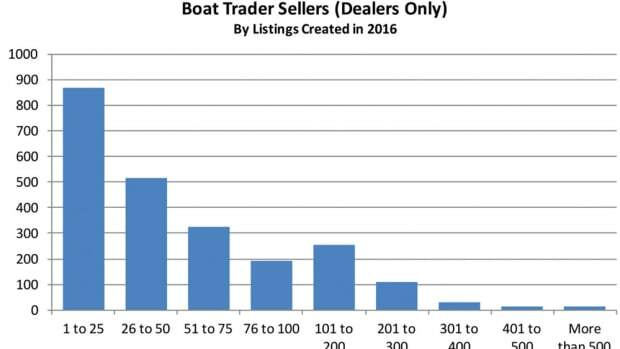 Many types of U.S. sellers list new and used-model boats for sale at Boat Trader, ranging from large, multi-office dealers to small shops and private sellers. 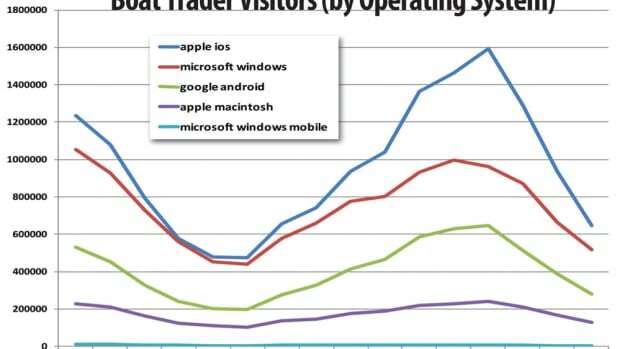 Traffic to Boat Trader’s website peaked during the summer in July at 3.37 million unique visitors. 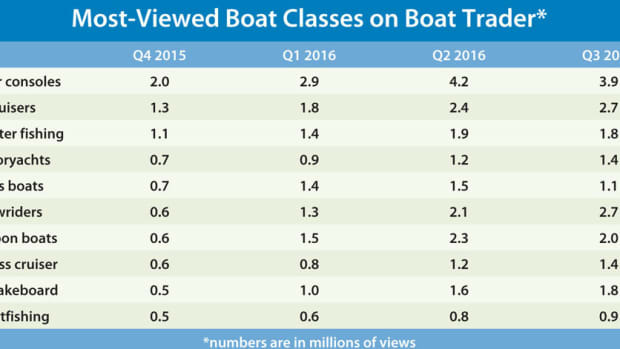 During the last 12 months, millions of visitors to Boat Trader have seen new and used-boat listings, and the most popular class was consistently center consoles. 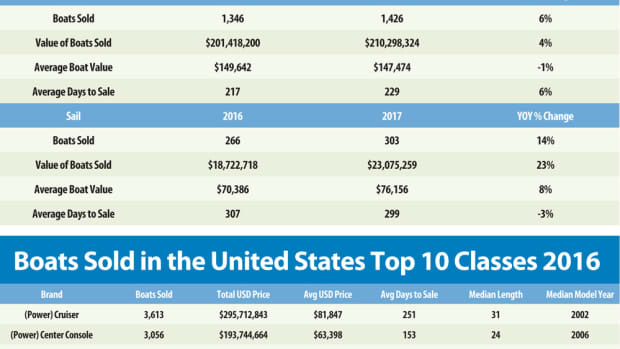 September results for U.S. yacht brokerages were mixed as 108 fewer boats were sold compared with the same month last year. 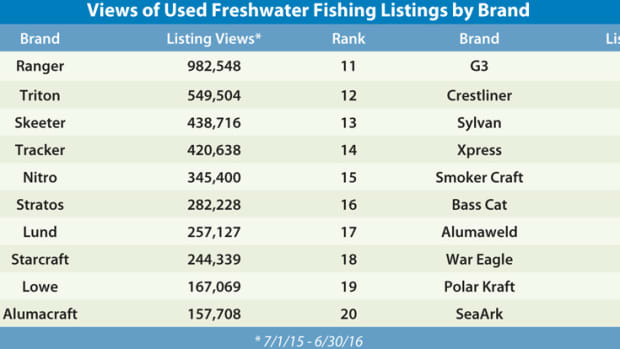 We’re taking a different look at the most-viewed boat brands on Boat Trader for the 12-month period that ended June 30, focusing this time on used freshwater fishing brands. 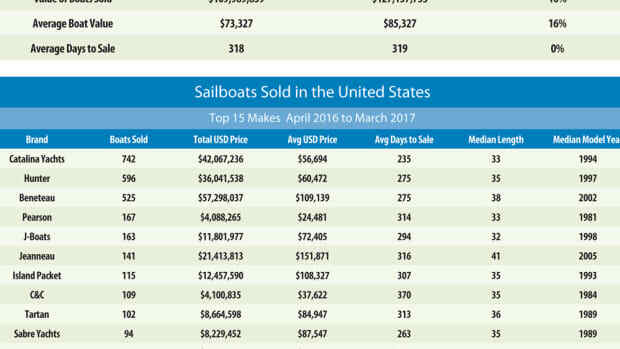 The value of the boats sold also increased by $65 million as $344.4 million changed hands. 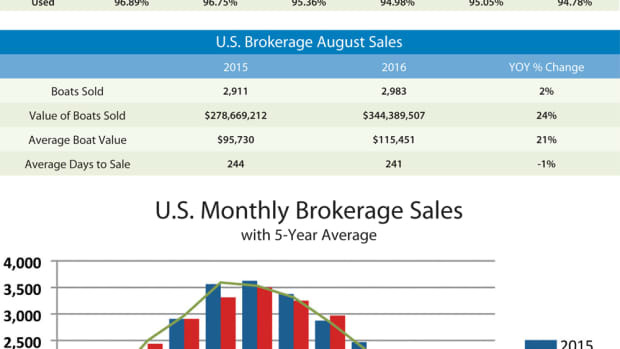 In July, for the second month in a row, the volume of U.S. brokerage sales was lower by 3 percent than it was in the same month a year earlier. 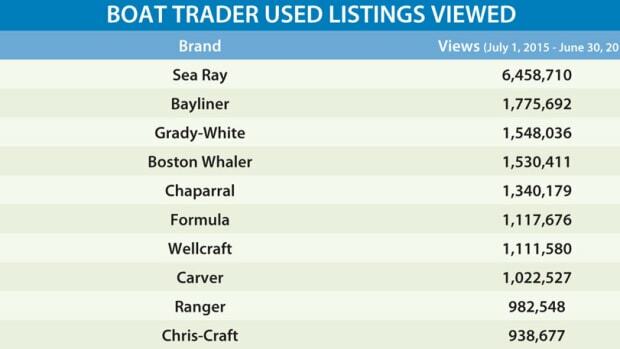 In the August issue we listed boat brands by the total number of views their used-boat listings received on Boat Trader. 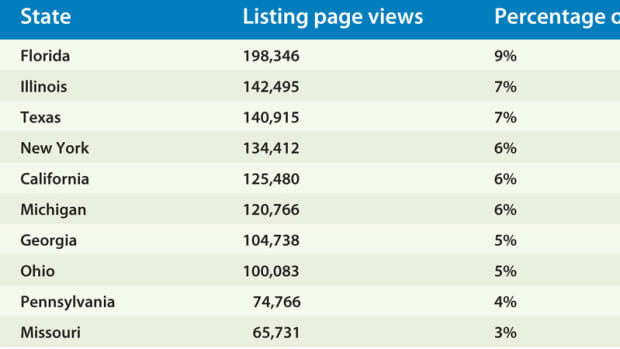 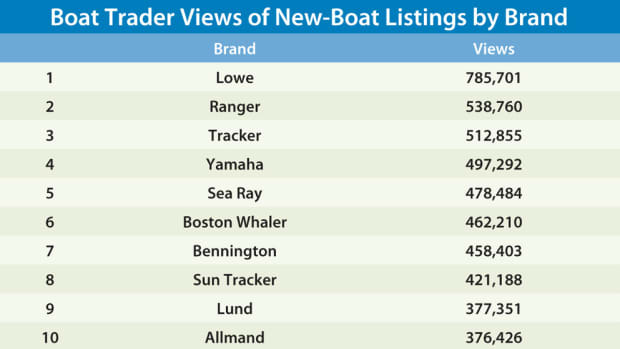 This month we rank brands by the total views of their new-boat listings. 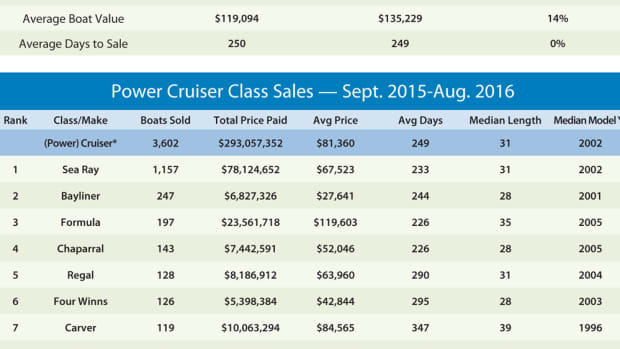 U.S. yacht brokerage sales declined in July by 114 boats (3 percent) from the same month last year. 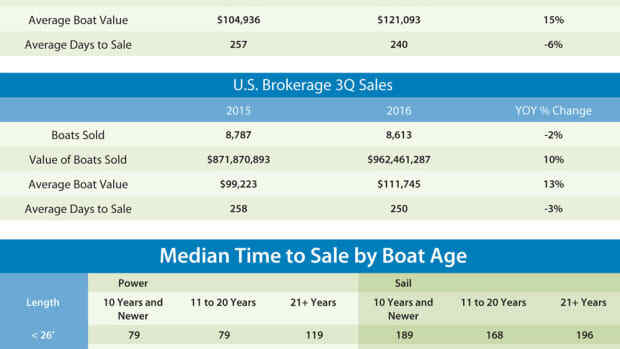 Two themes were evident in yacht brokerage sales results for January through June — incrementally lower sales volume and incrementally higher average prices paid. 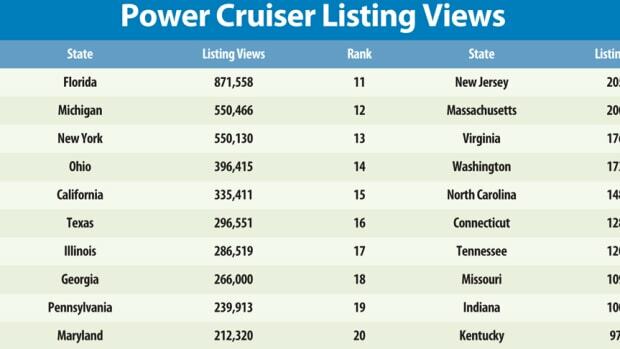 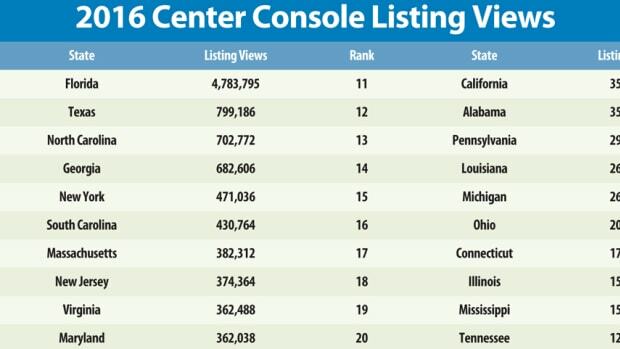 This month we show which brands’ listings received the most views by consumers searching for boats on the site during the 12-month period through the end of June. 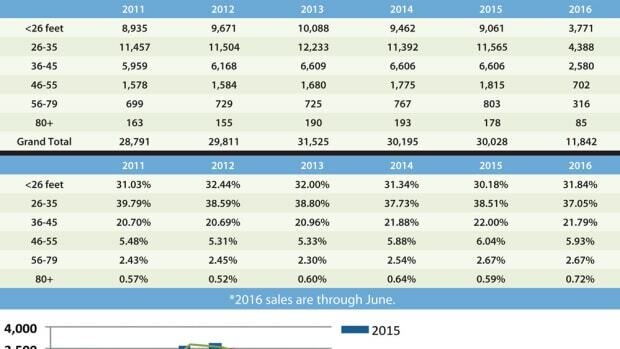 In June, typically the highwater mark for the yacht brokerage market, 3,523 boats were sold in the United States. 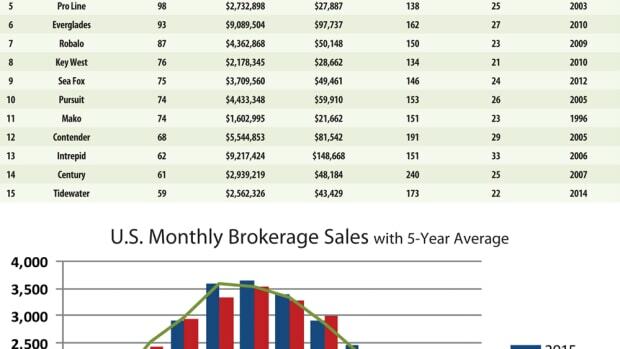 The U.S. brokerage market had a rough ride in May, experiencing an 8 percent dip in sales volume after two months in positive territory. 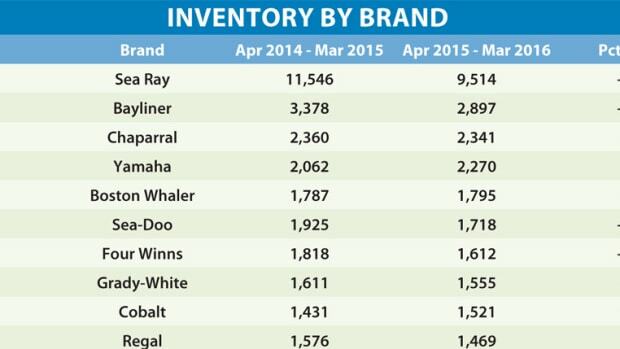 Sea Ray, Bayliner, Chaparral and Yamaha models were the most commonly listed used boats for sale on Boat Trader during the 12-month period that ended March 31. 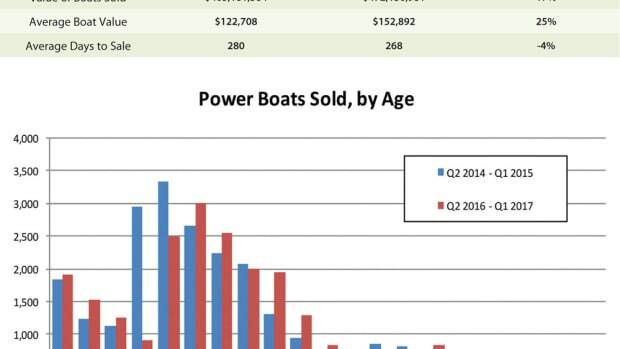 The volume of brokerage sales of smaller boats declined markedly in May, which reduced total sales for the month by 273 boats. 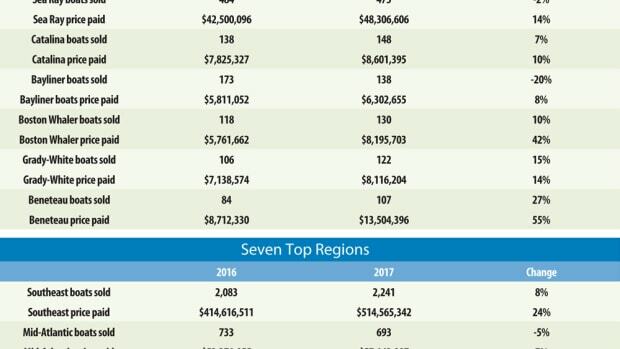 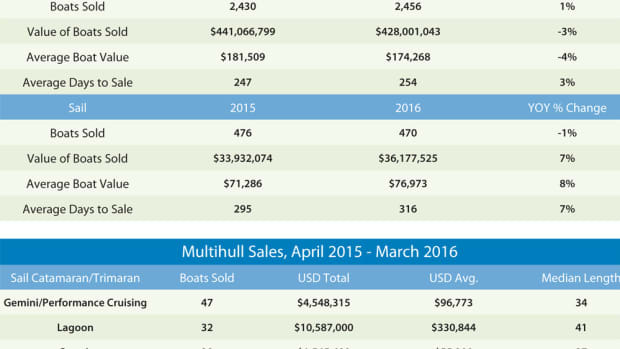 U.S. yacht brokerage sales increased seasonally in April and remained ahead of their 2015 pace for the second month in a row. 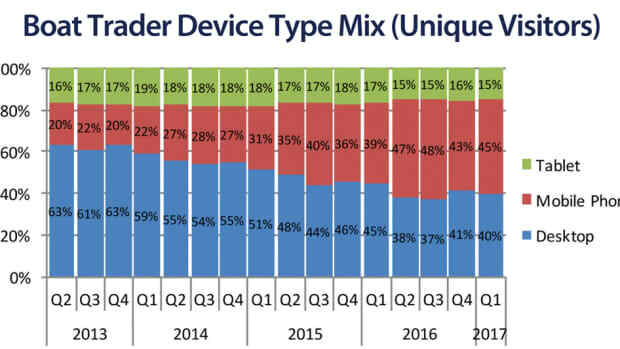 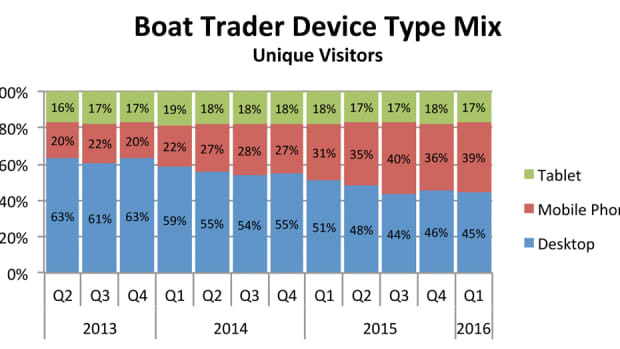 Through the lens of boat searches on the Boat Trader website, we’ve tracked the trend toward increased use of mobile devices periodically in this DataTracker series. 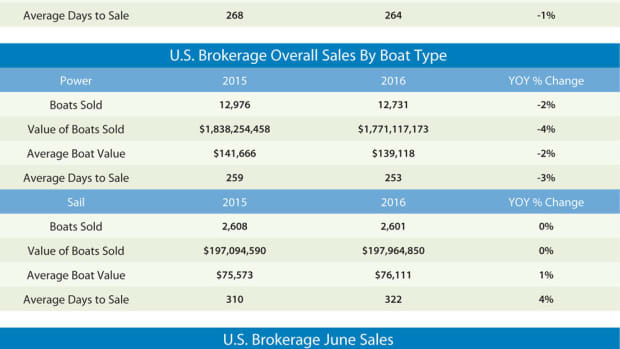 U.S. brokerage boat sales in April improved slightly from the same month last year. 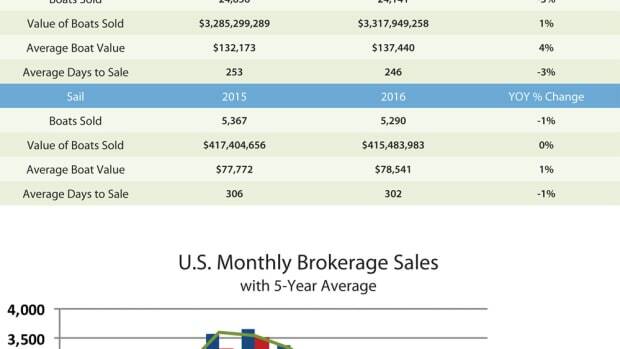 After a couple of sluggish months, brokerage sales in the U.S. got a positive bounce in March, gaining 10 percent from March 2015, with 2,443 boats sold. 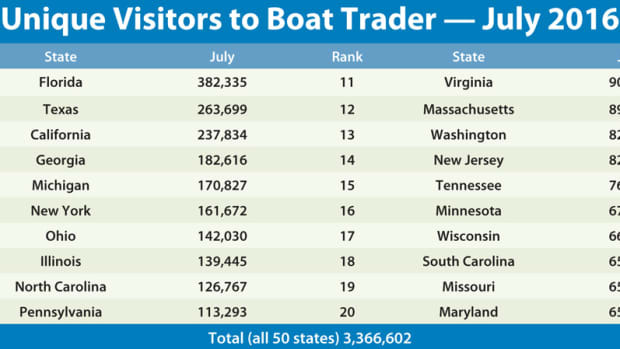 In the third month of our series studying state-by-state interest in the more popular boat classes on Boat Trader, we move from the previous saltwater fishing boats and motoryachts to bowriders.